A record number of Hmong candidates are running for office in November’s election, and it’s generating excitement for Minnesota’s largest Asian-American community. Nine Hmong-American candidates have advanced through the primary and will be on ballots throughout the metro in November. 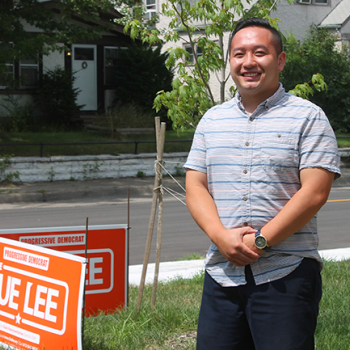 Six candidates are running for state representative, including State Representative Fue Lee, a DFLer who is running for re-election in District 59A, which covers much of north Minneapolis. In addition, there are two candidates running for Ramsey County judge and one for Hennepin County commissioner. The area’s Hmong-American community is expected to respond by showing up in significant numbers at the polling stations in November. Overall, “whenever there is a Hmong candidate running, there seems to be a spike in terms of voter turnout,” says Bao Vang, Executive Director and CEO of Hmong American Partnership (HAP), the Hmong-led nonprofit that serves 18 predominantly Southeast Asian nationalities and 22 languages within the Twin Cities. “We do a lot of voter education because our community is young,” said Vang. As in past recent elections, HAP is involved in a large get-out-the-vote campaign. HAP’s database now comprises some 20,000 voters, says Vang, and on November 6th, the organization plans to coordinate several hundred volunteers to work as interpreters and poll watchers and to provide transportation to voters. 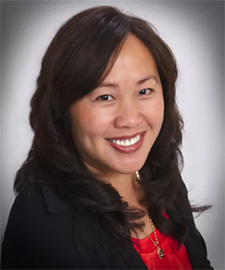 Vang says there is “a lot of energy around insuring that we elect a government that represents an interest in core issues that impact community,” among them: educational equity, workforce development, affordable healthcare and affordable housing. Those issues align with the priorities of another group: Maiv PAC (pronounced “my pac”), a nonpartisan PAC started in 2016 to support Hmong-American women in Minnesota. “Often times people want our vote but they don’t want us to be informed voters,” commented founding member KaYing Yang. As they fundraise, Yang says the volunteer members of Maiv PAC work to educate the community on ways to be politically engaged, beyond simply voting. They encourage voters to follow candidates and know their stances on issues. Maiv PAC has also organized precinct caucus training to increase the number of Hmong delegates to caucuses.